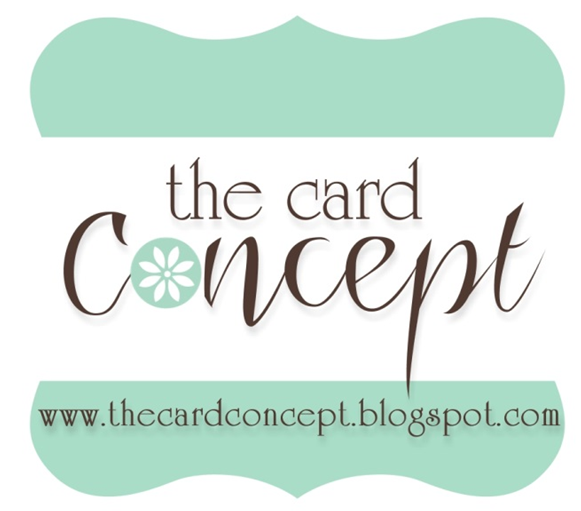 This week at The Card Concept the theme is 'Rich Texture'. The photo inspiration certainly has masses of that. I love this photo so much!! The vellum sentiment (from Kaisercraft) was one of three I stamped several months ago for another card. I made three the same and squirrelled two away for later use. The background is a Designer paper. The Scallop frame is from MFT. 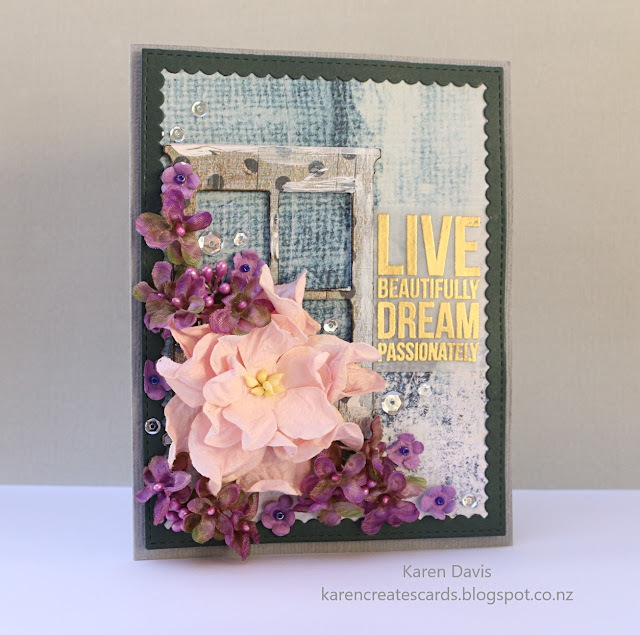 A swish of paint on the window frame and a sprinkle of sequins finished the card. Swoon! This is all sorts of beautiful! I love how the background paper gives added texture even though it's flat! Oh, Karen, this is stunning!!! Love that shabby window with the beautiful blooms cascading outside!!! Love!!! This is gorgeous, Karen! You've captured the inspiration photo perfectly! 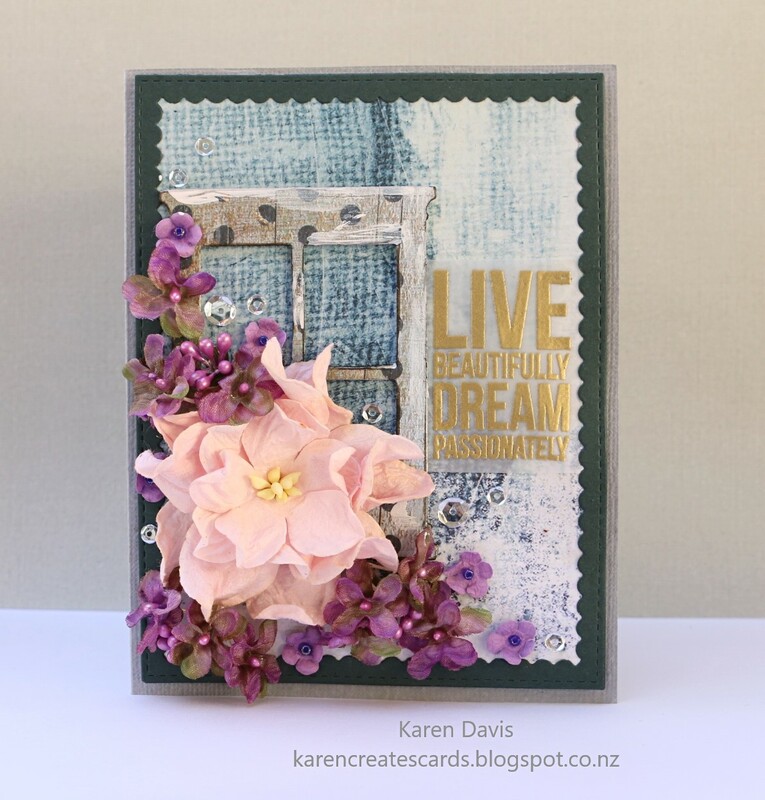 I love your card, the screening BG is wonderful, and those flowers! WOW! This card is just fabulous!!! Karen, this is absolutely beautiful! I love how you have created all this beautiful texture! The old wooden window frame is brilliant! Beautiful inspiration! What an awesome card! 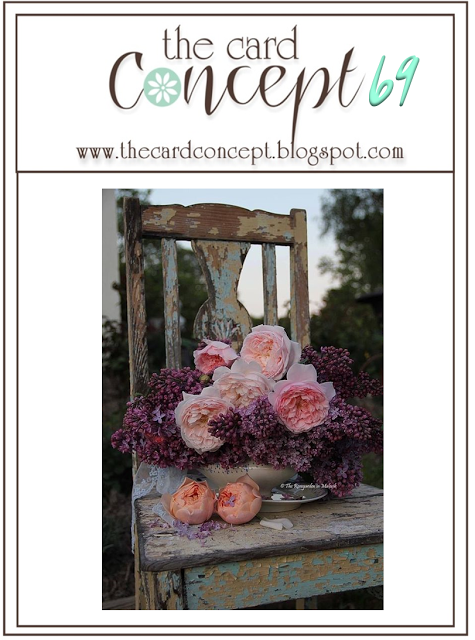 love the gorgeous blooms!